Mostly flat terrain with good paths. We certainly picked a great day for this superb walk. The weather was simply glorious but very warm but as we were walking alongside the River Barle on the outward stretch, there were lots of opportunities for hat dips and also for our dog Fudge to go swimming. The walk starts in the beautiful village of Withypool and the outward leg follows the Barle through delightful countryside to the clapper bridge at Tarr Steps. The bridge is 180 feet (55m) long and has 17 spans. It is rumoured to have been placed there by the Devil in order to win a bet! Half of the bridge was washed away by the river whilst heavily swollen by rain in December 2012 but has since been repaired. 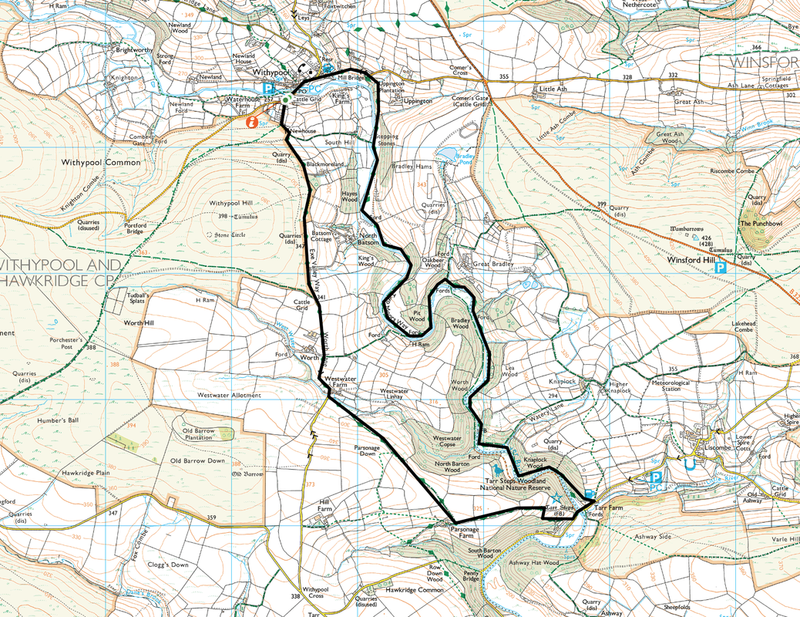 The return leg can be made by simply reversing your journey and following the Barle back to Withypool but an option is to follow the Exe Valley Way back to the start. There is some road walking on this leg along quiet lanes but overall the views over the landscape make up for this. There is a cafe and pub in Withypool for that post walk pint or a piece of cake.